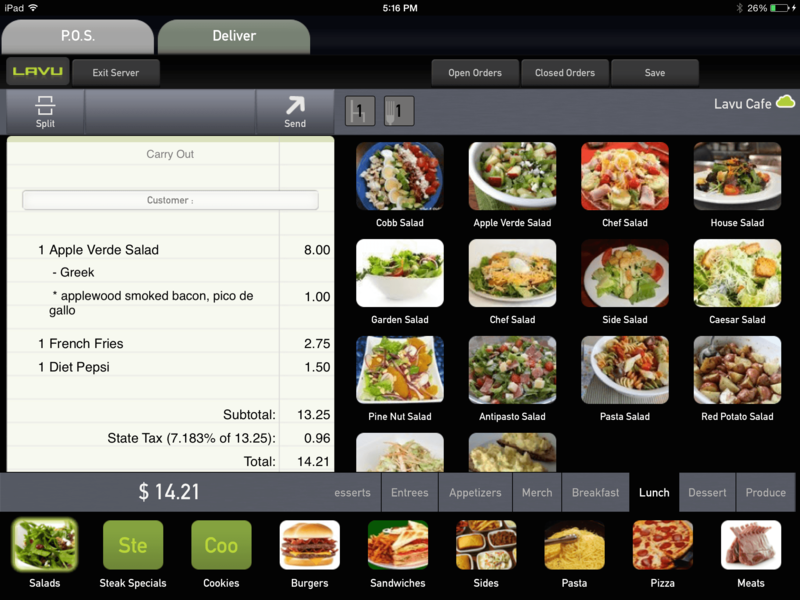 Lavu is an iPad-based POS system designed for restaurants and bars. Lavu streamlines operations to simplify management and improve the customer experience. Lavu works for fine dining, quick-serve, a food truck, pizzeria, coffee shop, bar, or any other food or drink establishment. Lavu’s point of sale system does more than place orders and process payments. Lavu enables users to manage their restaurants with reporting, including live sales figures and employee management tools. With an intuitive user interface, PayPal integration, and highly customizable features, Lavu is designed to make the business of running a restaurant efficient. Lavu is flexible and easy to use. If the waitstaff can use an iPad, they can use Lavu. Restaurant owners can check reports on the road; servers can use devices as small as the iPod touch for orders. Lavu’s hundreds of features include access levels, gift and loyalty programs, staff scheduling, clocking in and out, and comprehensive language packs. It also provides a business management suite, which reports on everything from labor to ingredient usage to thorough sales reports. Not sure if Lavu is right for you? Use our Product Selection Tool to compare other retail point of sale solutions. Have questions? Call one of our unbiased Technology Advisors for a free consultation. Learn everything you need to know about Lavu. Our experts will reach out to you shortly.